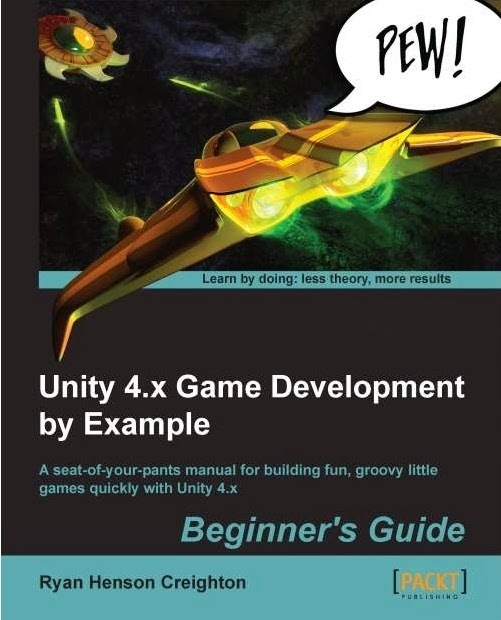 In "Unity 4.x Game Development by Example" (link), the author describes in detail making games with Unity3D version 4 and above. The author covers a lot of what you can do with Unity, from basic script writing to tweaking Physics to using Unity's own Animation tool. Each tutorial is made up of a combination of Unity features that is designed to help readers pick up easily. I particularly like the part where the author go in-depth with how each line of the code works, in regards to the game that the tutorial intended to make. It's a good starter book for those who are just getting into Unity or have zero knowledges in game programming.